Check out how we are going to take care of your pet. First time here? Choose the most convenient way to contact us – this may be by phone or e-mail. We will be happy to answer your questions and arrange an initial meeting. A meet and greet is a great way to get to know each other. 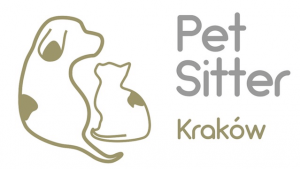 It will help you make your decision about hiring a pet sitter. The meeting will be held in your or pet sitter’s home. If you decide to let us take care of your pet the next step will be signing a contract. It’s time to sign a contract which will help us establish general conditions of our co-operation. We will prepare the documents in English so you can understand it easily. When both sides know the rules we can entirely focus our attention on your pet. Next we will ask you to choose a payment method. After pet sitting details and costs are settled you will be informed of the total price. We accept payments either with bank transfer or in cash. An advance payment is a guarantee that our time will be reserved for you and your pet. While we look after your pet you can comfortably go about your own business. A pet sitter will follow your instructions while taking care of your animal. We will use our best knowledge and efforts to make your pet feel like home. At the same time we will keep you updated on how your pet is doing. You will be informed via sms or e-mail about your pet’s well-being. You will not only receive text information but also photos or even videos. Knowing that your friend is in good hands you will be able to fully enjoy a vacation or do your business. Can you imagine the great feeling when you return home and see your friend happy and in good shape? East or West, home is best – especially when you’re reunited with your pet. We are always glad to see a happy animal return to their human. After you’re back, if necessary, we will send you a detailed summary of the pet sitting. We love to share our observations on your pet and listen to your suggestions. Thus we will be able to make our following pet sittings even more satisfactory.